Looking for some great gifts for those on your list this year? We've put together our top picks for holiday gifts this season for absolutely anyone on your shopping list. 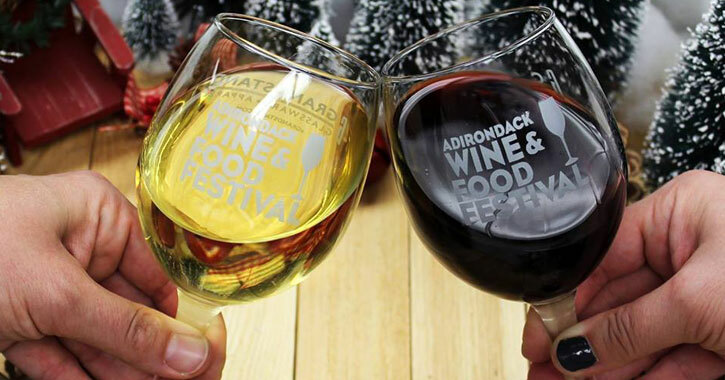 All ideas are from local businesses in and around Albany, making your shopping experience that much easier. Take a look and get shopping! Complexions Spa gift cards: easy to give, perfect to receive! This year when you give the gift of wellness you'll have the opportunity to receive $20 in Spa Dollars, an at-home spa set (pictured), or a luxurious spa robe. Plus, with each gift card level you'll gain entries to win their Pamper with a Purpose package - one massage or facial each month for an entire year! Purchase a $175 gift card and receive an additional $20 in Spa Dollars and one prize entry. Purchase a $225 gift card and receive an additional $20 in Spa Dollars, an at-home spa set, and two prize entries. Purchase a $325 gift card and receive an additional $20 in Spa Dollars, a spa robe, and three prize entries. Looking for smaller gifts for stocking stuffers? 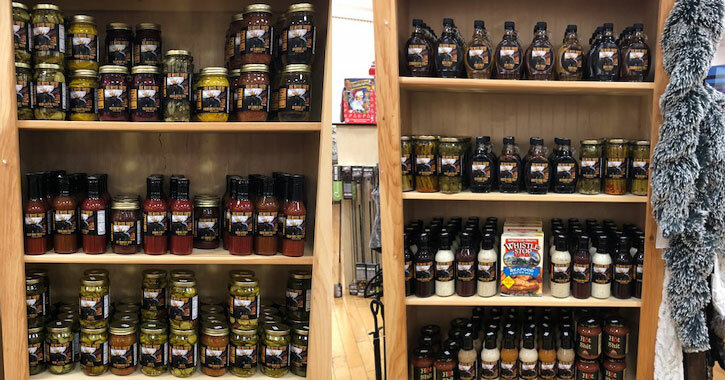 Skip the candy and socks and go for something they'll actually like this year with Big Moose brand pantry items, found at the Big Moose General Store in Wilton Mall. Choose from high quality jams, jellies, sauces, pickles, syrups, and spices for a gift your loved ones will truly appreciate. Give them a taste of real New York maple syrup this Christmas with the Maple Sampler Gift Box from Riverside Maple Farms. 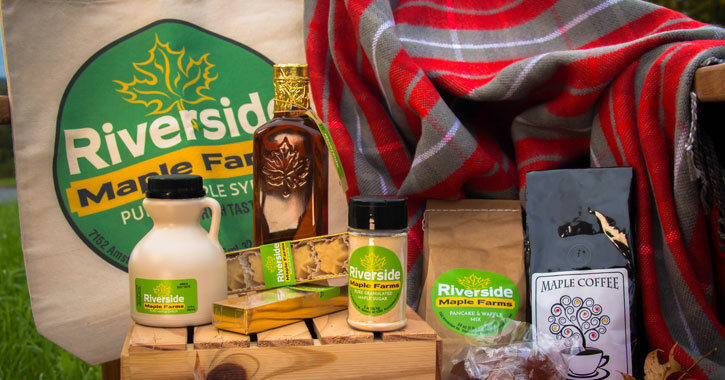 This gift box features Riverside's most popular products including: maple coffee, 250 ml bottle of Grade A Amber maple syrup, two 6-piece boxes of maple candy, a half pint of Grade A Amber maple syrup, 2 oz shaker of maple sugar, buttermilk pancake mix, a bag of Riverside's maple drops, a Riverside Maple Farms bag, and a custom Riverside Maple Farms gift crate. Give the gift of swim this holiday season! Every child should get the chance to learn this life-saving and fun skill. 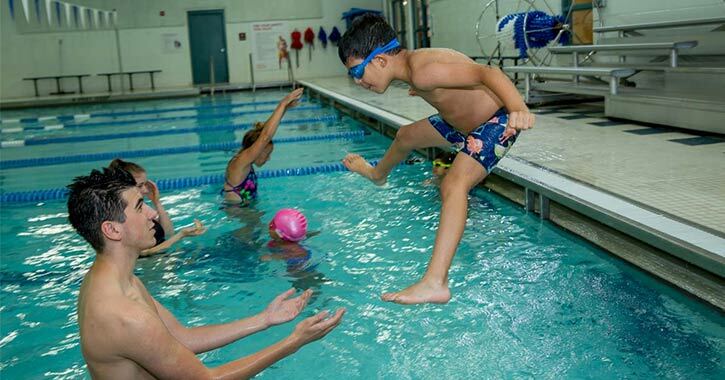 There's SNOW better gift for your loved ones this year than a Capital District YMCA gift card that can be put toward swim lessons. With every gift card purchase, you will also receive a free gift! A Spa Mirbeau Gift Card lets them customize their dream stay-cation, close to home. Gift Cards can be used towards pampering in the spa, dining at Le Bistro, and shopping in La Boutique! Beginning on Black Friday, receive a free $50 Resort Voucher with every $300 purchased in Gift Cards on property. 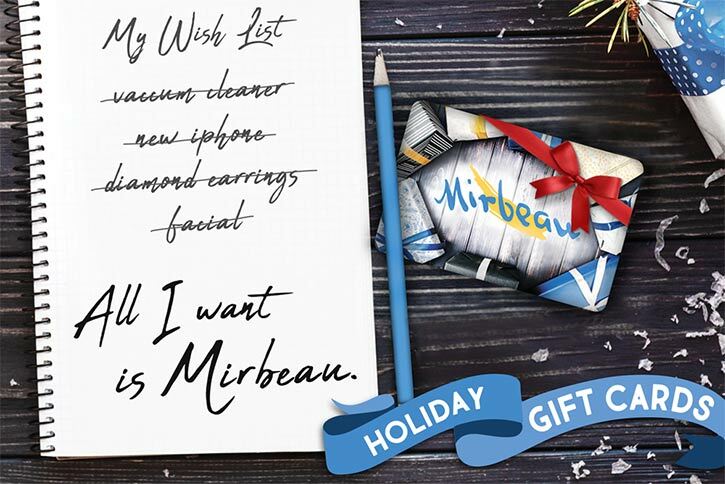 Purchase in-store, by phone, or online at shop.mirbeau.com. 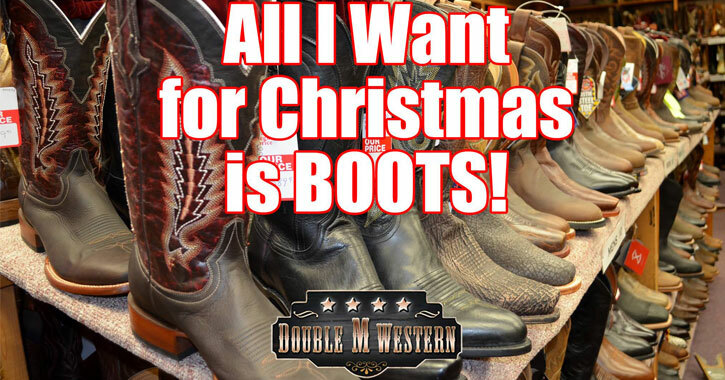 Double M Western has been making boot buying an experience for more than 50 years. From the moment you walk in, the staff welcomes you to the largest selection of boots in the tri-state area. Neatly displayed for you to browse, check out boots in sizes 6 to 12 for women, and 7 to 16 for men. They offer casual footwear, Western boots, work boots, and children's boots. Double M offers big names like Ariat, Dingo, Durango, Justin, Laredo, Timberland, Tony Lama, and more. You are sure to find a pair of comfortable fitting boots. Stop into Double M, and let them make your shopping experience a time to remember. Do you have people on your holiday shopping list who love Saratoga? 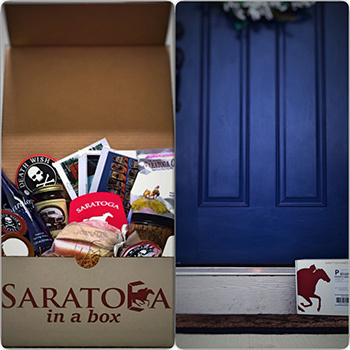 Saratoga In A Box provides the opportunity for you to assemble the best that Saratoga has to offer, from Death Wish Coffee, Saratoga Water, and Peppermint Pigs to Saratoga Peanut Butter, Hattie's Hot Sauce, and Saratoga Olive Oil. Think of it as the ultimate care package for anyone who loves the Spa City! Your selection of five or 10 items will be sent to the recipient in a beautifully presented box that is sure to impress all Saratogians, whether near or far. A Saratoga National gift card is the perfect gift this holiday season. SNGC gift cards are good for any amount and never expire. 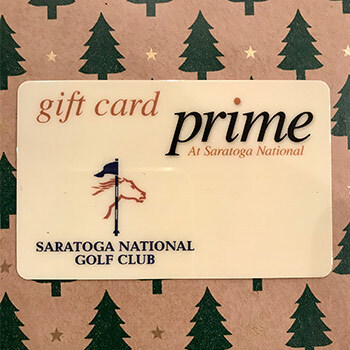 The golfer in your life can use the gift card for Daily Fee Golf, Golf Shop merchandise, golf instruction at the Golf Academy, or dinner and cocktails at Prime at Saratoga National Golf Club. The SNGC gift card is also redeemable at their menswear store, The National, located at 385 Broadway in the heart of Saratoga Springs. They make it easy to order as well: click the link and have it mailed to you, or stop by the Golf Shop at 458 Union Avenue, Saratoga Springs to pick one up. As always, gift wrapping is complimentary. 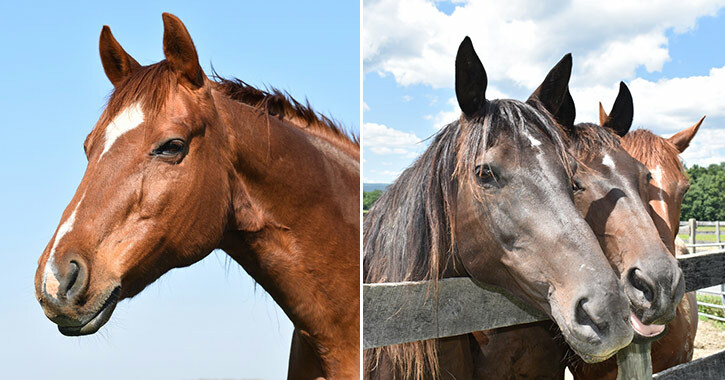 Give a gift of love this holiday season and sponsor a retired racehorse through the Thoroughbred Retirement Foundation. Sponsors receive a personalized packet about the selected horse, photos and updates throughout the year, and they even get a chance to meet the horse in person. Kid-friendly sponsorship packets are also available! Learn more about the sponsorship opportunities. 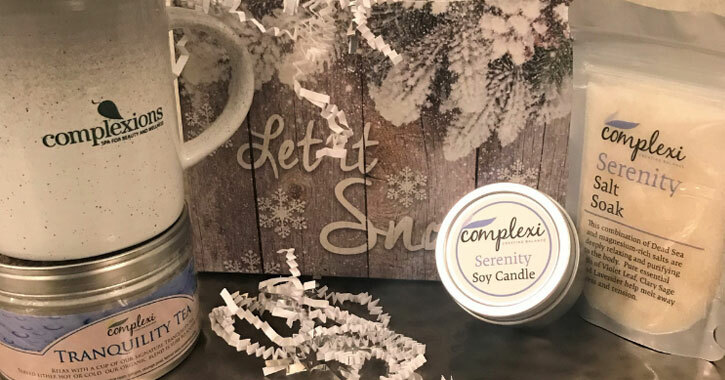 Candles are always a solid choice for a holiday gift, but this year consider going above and beyond by choosing a reputable and high quality candle. 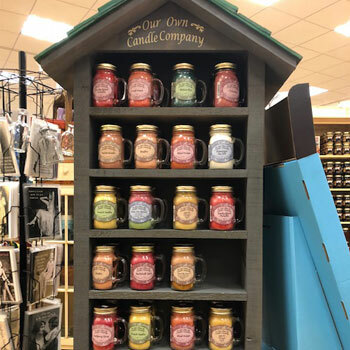 The Big Moose General Store in Wilton Mall is selling candles from Our Own Candle Company, and you will not want to miss out on this ideal gift item. Our Own Candle Company candles last a long time, fill the room with a pleasing scent, and leave no wax build up. A lot of time goes into creating the candles from scratch to achieve that perfect end result. These candles are gorgeous, high quality, and affordable. Stop by the Big Moose General Store and take advantage of a buy two, get one free deal. The tradition of the Saratoga Peppermint Pig goes back to the 1880s. This sweet candy shaped like a pig is typically placed inside a small pouch after Christmas dinner and is broken with a miniature hammer. All family members then share in eating the sweet candy pieces. The pig represents health, happiness, and prosperity, and is meant to bring good fortune. 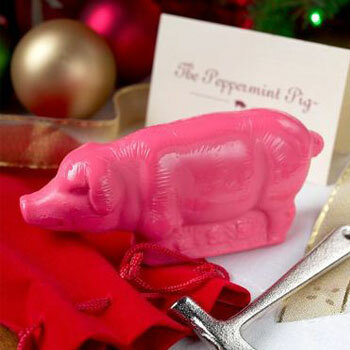 The Peppermint Pig is sold by the Saratoga Candy Co. and includes a nickel plated hammer, a red velvet pouch, a story card, and instructions on how to break your pig. This combination pack is the perfect gift for others, or an excellent way to start a new tradition with your own family. You can't go wrong with a bottle of wine during the holiday season! This traditional and classic libation can be given to others or kept for yourself. It's perfect to give as a hostess gift, stocking stuffer, or Secret Santa surprise. And you'll always want to have several bottles on hand for holiday get-togethers. 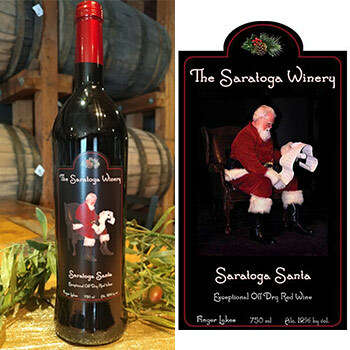 This year, go local and festive at the same time with your wine when you opt for the Saratoga Santa Wine from The Saratoga Winery & Tasting Room. This is a semi-dry red table blend, oak-aged wine, that is $28 per bottle and is available for a limited time only. Looking for the perfect piece of jewelry for your wife, mother, sister, or another special woman in your life? 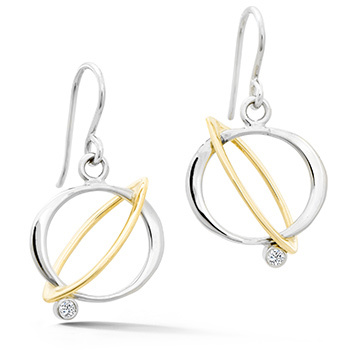 Dennis deJonghe, an award-winning local jewelry designer, crafted these gorgeous two-tone orbital earrings in his downtown Saratoga Springs studio. The combination of metals gives the earrings a unique look, and the recipient could pair them with a wide variety of outfits and other accessories. Choose a pair with or without diamonds, depending on her preference. Place your order online, or stop by the studio to see them in-person. Gail Stein, a top Saratoga Springs photographer, is once again offering a calendar filled with her eye-catching photography. 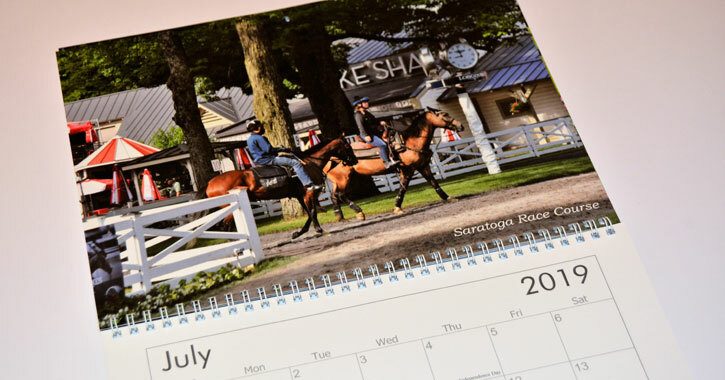 Each calendar costs $22 and can be purchased by emailing [email protected] They will also be available at Impressions of Saratoga beginning in mid-November. Gift cards can be an excellent holiday present, but especially when they're to a truly remarkable store. 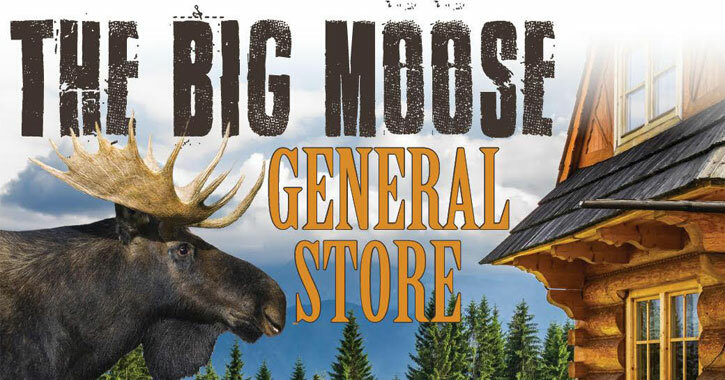 The Big Moose General Store, now in Wilton Mall, is filled with unique items you can't find anywhere else. You'll discover home decor, furniture, seasonal decorations, handmade signs, and more. Let them choose their own gift this year! Gift cards can be purchased online or in store, and the amount can range from $10 to $1,000. Time Square in Clifton Park offers a large selection of watches, clocks, and engravable gifts. Consider a grandfather clock, cuckoo clock, or a novelty clock for that hard-to-buy person on your list.